My photo shows me doing my first drag performance, as my silly 'Auntie Valya' who lost her reading glasses, while they were always on her forehead. I was a truly gay kid while growing up, and I was a champion of arts and theater through my early school years. But then puberty hit and my classmates no longer thought I was that fun to hang around with anymore. In fact, the bullies tortured me for years on a daily basis. But I survived, and that still amazes me at times. 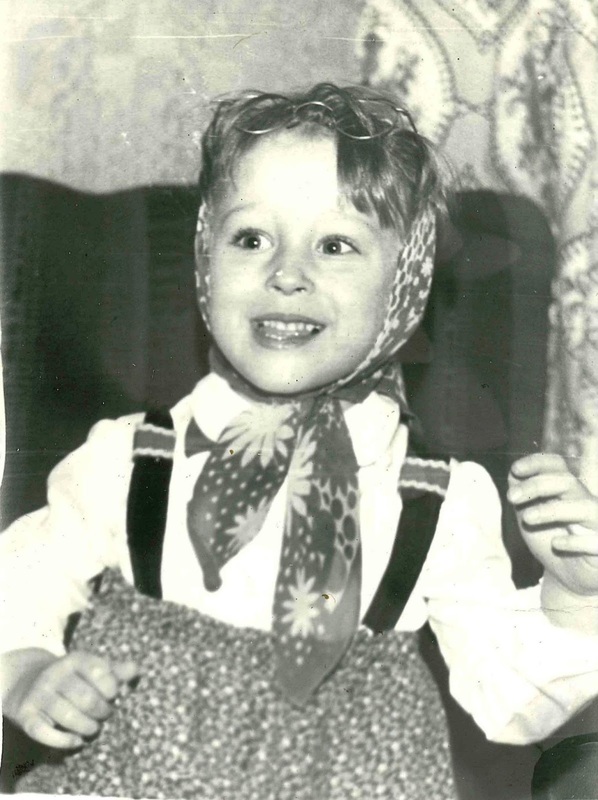 I eventually ran away from my home country of Russia to find freedom and safety in the USA. At age 15, I died my hair red. Then green, blue, and pink. I came out to my mom when I was only 16. Twelve years later, she is still struggling to accept my "life choices." We speak to each other now, but not often. My father has never been around, and he left for good when I was 12. We never shared any bonds, and he always treated me as if I was some kind of some foreign exchange student living in his house. I've struggled all these years to overcome anxiety and depression which stems directly from the years of bullying and living in a viciously homophobic Russia. I have lived in the United States for 8 years now. I will become a citizen this year, provided everything gets done on time. Being gay is still a work in progress for me. But I am doing better - and feeling better - than I have ever felt before. I remember the day this photo was taken. 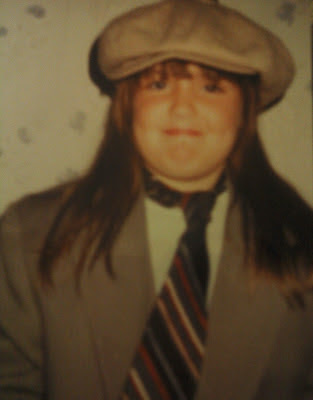 It was a rainy weekend and my little brother and I were having fun trying on my uncle's old work clothes. I know I was both embarrassed and proud when my mother pulled out the camera. And the two emotions read simultaneously on my face. It was right around this age when I was first called out as gay. I was in the 5th grade and a female friend and I were playing during a break between classes. I turned around to find a pack of four boys behind me, with one of the more popular kids in the front. "You're a lesbian!" he said, as the other boys snickered. I had no idea what he was talking about. Was that an insult? I never looked quite like the other girls: I was heavy then and wore thick glasses, baggy t-shirts, and high-top sneakers to school. Maybe that's what a lesbian was? Trying not to look foolish, I shot back, 'Well... so are you!' The boys laughed and I realized that, once again, I had missed something in the social code. I asked my mother what they had meant when I got home. But I didn't get much help there either.